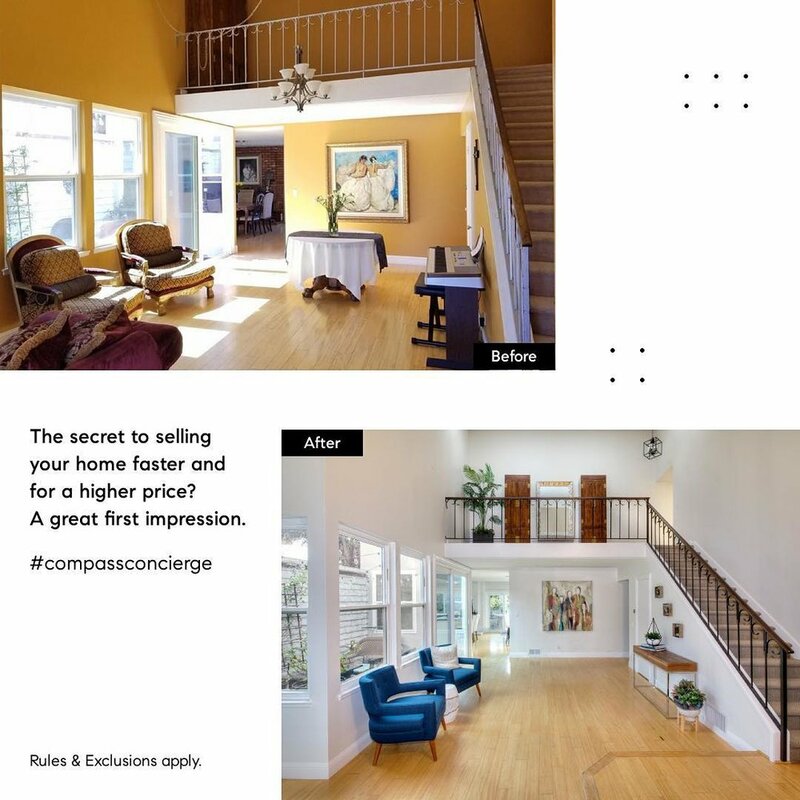 One of latest tools that we have used to sell two properties in the last month is the Compass Concierge Program. With this new program, Compass covers the upfront cost of select services that can increase your home’s selling price. From deep-cleaning to cosmetic renovations, we work together to elevate your home’s value and create a tailored plan to maximize its potential on the market, collecting payment for the services rendered at the time of closing.